Coincidentally released four days after Al's fiftieth birthday. Released in Australia on February 5, 2010; in New Zealand on February 8, 2010; and in the United Kingdom on October 18, 2010. Features the album debut of the "Extra Gory Version" of "The Night Santa Went Crazy," which had previously only been available as a bonus track on the 1996 CD single of "Amish Paradise." One way or another, twenty of the songs on this collection were released as singles in the United States, while twenty-one were made into music videos. Including alternate versions, here is the breakdown of how much exposure each studio album is given on this collection: "Weird Al" Yankovic has one track (but see note below), In 3-D has three, Dare To Be Stupid has four, Polka Party! has one, Even Worse has three, UHF has two, Off The Deep End has three, Alapalooza has three, Bad Hair Day has five, Running With Scissors has four, Poodle Hat has three, and finally Straight Outta Lynwood has six. "Another One Rides The Bus" is the only song from Al's debut album to appear on this compilation, but it should be noted that the song was recorded and released as a single over a year before Al officially began work on his first album and was signed to Scotti Bros. So technically, no song recorded for the debut album appears on this release. The second disc is comprised entirely of tracks from Bad Hair Day, Running With Scissors, Poodle Hat, and Straight Outta Lynwood, marking the first time songs from any of those four albums have appeared on an Al compilation. Seven of the ten tracks from the first Greatest Hits album are included, while only six of the twelve tracks from Greatest Hits Volume II appear. No originals from either the debut album or In 3-D are included. Likewise, no parodies from Polka Party! or UHF are included. Some of these points would be rectified with the release of the 2010 reissue The Essential "Weird Al" Yankovic 3.0. Al was given a lot of freedom from Sony Legacy in compiling this collection, allowing him to include more tracks per disc than he's ever been allowed on either a studio album or compilation that he's personally overseen--practically filling each of the two discs to capacity. Notably, the first disc alone contains more tracks than not only any single-disc Al release issued anywhere in the world but also any of the four discs from the 1994 Permanent Record: Al In The Box boxed set. Competition for space was no doubt fierce in order to give an adequate overview of Al's career. Among other omissions, the lead singles/songs from three albums--the debut album ("Ricky"), Polka Party! ("Living With A Hernia"), and Poodle Hat ("Couch Potato")--were not included. Two of these three oversights would be corrected on The Essential "Weird Al" Yankovic 3.0. Promotional materials for this collection listed two additional songs that ended up not being included, most likely due to space limitations: "Christmas At Ground Zero" on disc one (intended as track #9) and "Pretty Fly For A Rabbi" on disc two (track #6). Al asked for help on his Twitter account twice in preparation for the compilation. His first tweet about it in July 2009 was more or less a general announcement about the release and a vague "Hey, what do you want on it?" query. His second Essential tweet later that month was more specific, asking readers to help him decide which polka medley to include, as he could only add one due to the excessive royalties involved. Al narrowed the choices down to either "Polkas On 45" or "Polka Your Eyes Out." 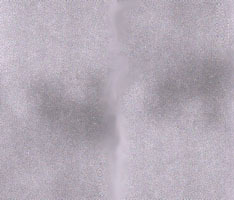 That September Al revealed that "Eyes Out" received more votes from Twitter users, as many felt it was a better-produced track (it should be noted that Al had previously included the song on Greatest Hits Volume II). But alas, "45's" fans were more "passionate" about the medley in their tweets, pointing out that the song selection was more timeless and that the historic implications of it being Al's first released polka shouldn't be ignored. Al explained that he was convinced to include "45" despite its fewer votes, concluding, "Hey, it's not a democracy, it's art." Al attempted to obtain permission to include his shelved James Blunt parody "You're Pitiful" onto this set, even bypassing Atlantic Records and going directly to Blunt's management. The response Al got back from Blunt's agent indicated that they will never allow Al to include the parody on any release. Sold over 2,700 copies in its first week, resulting in a debut chart position of #178 with a bullet on Billboard's "Billboard 200" on November 14, 2009. It would be the compilation's only appearance on the main albums chart, making it the second in Al's career to chart. Equally impressive, only eighteen other titles in Sony's Essential series had charted...out of the 129 that had been released at that point. The collection would have better luck on Billboard's "Comedy Albums" chart. After a very long trek up and down the chart, it would finally hit #1 on October 2, 2010 for one week, no doubt helped in part by the release of the 3.0 reissue. It would return to the top on February 26, 2011 for two weeks. In total, the set would enjoy an amazing 78-week run on the chart. CLICK HERE TO ORDER THE CANADIAN ISSUE! 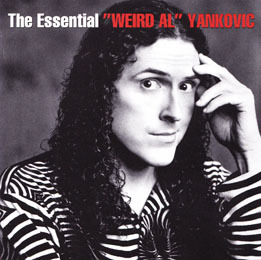 The Essential "Weird Al" Yankovic ©2009 Way Moby/Sony Legacy.